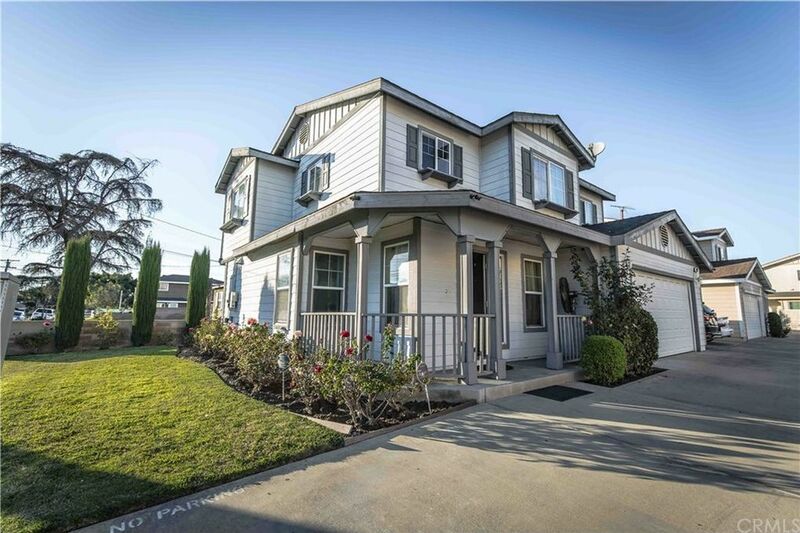 This attractive 2 story front unit home is located in the beautiful city of Bellflower, and is conveniently located to the freeways for L.A. commuters and provides easy access to a variety of great shopping and dining venues. This Craftsman Architectural style home features 3 bedrooms + 2.5 baths. This home is in turn-key condition and is ready to move into. With approximately 1, 778 square feet of living area the entry opens to the Master Staircase and Dining Area. You’ll find new wood floors and fresh paint throughout this home. The spacious kitchen has been updated to include new granite counters and newer appliances. The dining area is found adjacent to the kitchen. Upstairs you will find One Master Bedroom with Master Bath, in addition to the Master rooms, you will find Two additional Bedrooms and One Bath. Downstairs you will find a half bathroom and a cozy living room. Sliding Glass doors open to the back patio for outdoor relaxation as well as entertaining for family and friends. This Patio includes multiple Fruit Trees and BBQ area. This home includes a huge two car garage with additional side parking space for guests. Low HOA $150/month. BONUS FEATURE FULLY PAID SOLAR POWER SYSTEM! Please contact me to see this home today!